KARACHI: Sindh Chief Minister Murad Ali Shah on Monday announced that a security audit and verification of students would be undertaken in each educational institute after a former student of the Karachi University was found allegedly involved in the deadly assassination bid on Leader of the Opposition in the Sindh Assembly, Khawaja Izharul Hassan on Saturday, the first day of Eidul Azha. Izharul Hassan escaped the murder attack when he was returning from Eid prayers. One of the assailants was killed in the cross fire, along with one of Hassan’s guards and a teenager. Four other people were reported to be injured. It is said that locals caught the injured attacker and tortured him before handing him over to the police. 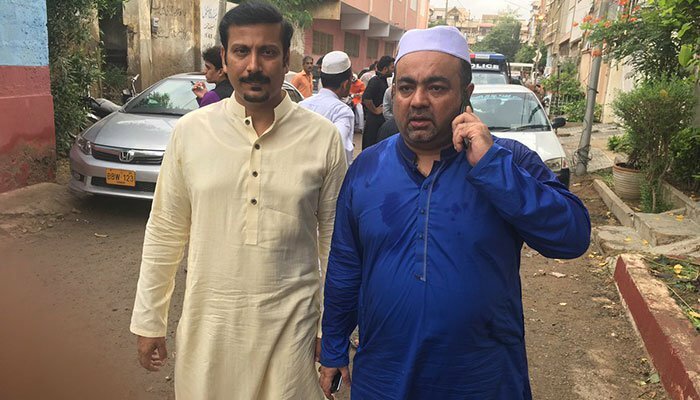 Early on Monday, police and intelligence sleuths conducted a search operation in Karachi’s Gulzar-i-Hijri area to arrest the suspected mastermind of the attack on Hassan, who is also a central leader of the Muttahida Qaumi Movement-Pakistan (MQM-P). 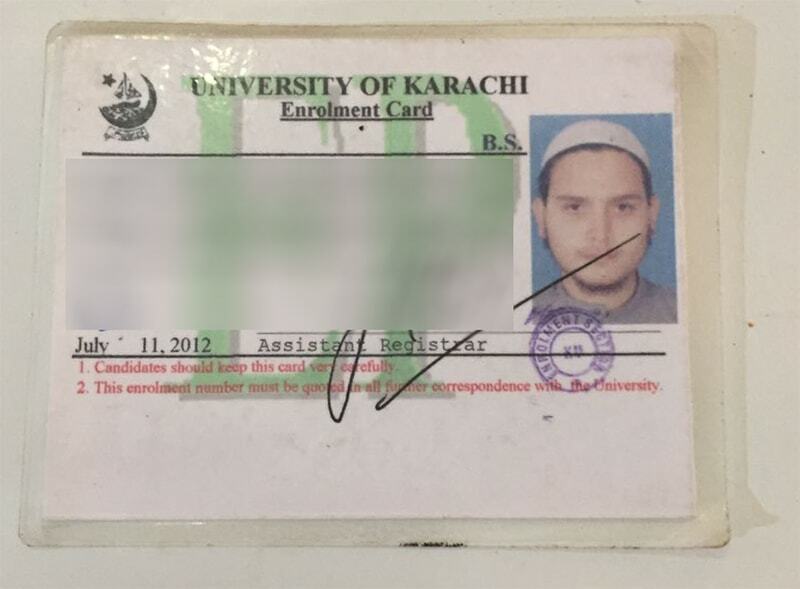 The student card of the suspected militant leader Abdul Karim Sarosh Siddiqui. A gunbattle ensued between the security personnel and suspected militants in the Kaneez Fatima Society in which one policeman, identified as Ijaz, was killed while another cop named Khalid suffered bullet injuries. Sources said that the police had managed to arrest 3-4 suspects but the suspected mastermind, identified as Abdul Karim Sarosh Siddiqui managed to break the police cordon and escaped from the scene. A search operation has been initiated across Karachi to nab the alleged militant, who is reportedly affiliated with a previously unknown terror outfit, Ansarul Sharia Pakistan (ASP). Talking to reporters, Malir Senior Superintendent of Police (SSP) Rao Anwar Ahmed claimed that Siddiqui was a central commander of ASP and a dangerous militant. He added that Siddiqui is a close friend of another suspected militant, Hassan, who was killed during the assassination attempt on Izharul Hassan. Siddiqui is said to be a former student of Applied Physics at the University of Karachi, police sources said. Police have taken Siddiqui’s father, Sajjad, into custody. They have also arrested Ansarul Sharia Karachi chapter’s spokesperson from the Defence area on Sajjad’s indication. Sources said at least seven other people were arrested in raids carried out in Malir and Sohrab Goth in connection with the same incident. Meanwhile, Sindh Chief Minister Murad Ali Shah visited the residence of the MQM-P leader on Monday to condole with him after the assassination attempt. Shah vowed to bring to book the perpetrators involved in the attack. The Sindh CM, accompanied by Khawaja Izhar and PPP leaders, later visited the residence of Muhammad Kamran, the father of the teenager killed in the attack, and offered condolences to the family. He assured Kamran the killers of his son, Arsal, would be brought to book. Earlier speaking to reporters at Khawaja Izhar’s House, Murad Ali Shah announced that a security audit and verification of students would be undertaken in each educational institute “to ascertain if they are breeding terrorists”. “It is quite painful to see highly-educated people involved in terrorism… Academically we will have to review our education system to make it more efficient, and simultaneously we will have invest in a cyber system to keep necessary checks on social media which is importing terrorist proclivities through wire services,” he said. Shah claimed that the Sindh government had provided security to MQM leaders and other important individuals. “I have requested Khawaja Izhar and Faisal Subzwari to review their security arrangements and let me know if some extra measures are required,” he added. The Sindh CM, highlighting the need to formulate a comprehensive policy to fight terrorism, claimed that although the provincial government had sent a list of seminaries to the federal government requesting they be put on the fourth schedule, “they did not bother”. “Then we requested them to at least keep watch on them, but even then they turned deaf ears to our apprehensions,” he said. He said the Sindh Assembly had enacted a law to keep record of people coming to Karachi from other areas. “This is a cosmopolitan city, where people who speak different languages, from different areas and even from other countries live. Sometimes you do not know who lives in your neighbourhood, but we are trying to keep a record,” he said. In a press conference on Saturday, MQM-P senior leader Farooq Sattar had said that the provincial government cannot be absolved of responsibility in the incident.